Who Needs An Engine To Fly? 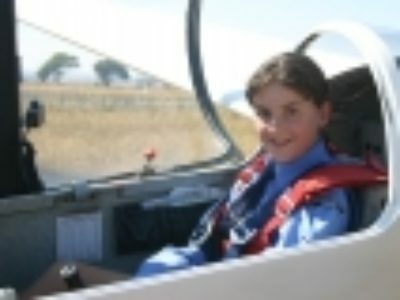 During the recent summer school holiday cadets from the Australian Air League’s Sunbury Squadron in Victoria had the opportunity to experience unpowered flight with a visit to the Geelong Gliding Club at Bacchus Marsh Aerodrome, Bacchus Marsh. After an explanation from the instructors on how winch-launched gliders work, the cadets were soon involved in readying the gliders and themselves for flight. Over the next few hours, each cadet enjoyed the thrill of a glider winch launch followed soon after with nearly 20 minutes of breathtaking eagle-like soaring. For many, their experience was made even more special with the pilot offering a chance to “take the stick”. These eager young pilots of the future will long remember this day as the first time they were in control of a real aircraft in flight. Not to be left out of the fun, a number of adult Squadron Officers and parents also joined the eager young cadets as they too took to the skies, most for the first time in a glider as well. The day finished with a short visit to the Australian Gliding Museum, also located at Bacchus Marsh Aerodrome where the cadets viewed gliding rarities such as the Northrop Primary, the Pelican and a replica of the first heavier-than-air machine to fly in Australia, the Taylor glider. The Australian Air League Sunbury Squadron would like to thank Kevin, Martin, Wayne, Alf and the whole team at Geelong Gliding Club for their kind hospitality and a truly memorable day’s flying. For more information on the Australian Air League, please visit www.airleague.com.au or call 1 800 502 175 .